It was one of the worst winter days I could remember – freezing temperatures, high winds and streets turned into rivers from the rain. Our friend, the pastor of the Jerusalem Baptist Church, had invited us to come on their church trip to Judea-Samaria. Judea-Samaria is the area on the west bank of the Jordan River, approximately 30 miles wide, 70 miles long, not quite 2,000 square miles in area. Judea was the southern kingdom of the country with Jerusalem as its capital, and Samaria was the capital of the northern kingdom. To call this area Judea-Samaria makes clear the Jewish biblical and historical connection, but it is contentious. However, the other term for this area, the West Bank, is also a matter of contention, as that description negates the Jewish connection. In 1922, 80% of the area of Palestine, as defined by the League of Nations (predecessor to the United Nations), was removed and became Transjordan, which was occupied then by Bedouin. During the British Mandate (1922-1948), Judea-Samaria was an integral part of the Jewish homeland and described by the British as Judea-Samaria. In 1946, the British granted independence to Transjordan and Abdullah bin Al-Hussein was crowned king. Jordan occupied the west bank of the river until 1950, when it annexed it to the Hashemite Kingdom. King Abdullah named it the West Bank and ruled over the area from 1950 to 1967. 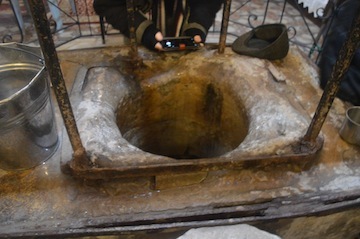 Our first stop was Jacob’s Well, which is in St. Photini Church in Nablus, or Shechem. Jewish, Samaritan, Christian and Muslim traditions all associate Jacob with a well, which lies within the monastery complex of the Greek Orthodox Church. The well is not specifically mentioned in the Hebrew Bible, but Genesis 33:18-20 states that, when Jacob returned to Shechem from Paddan Aram, he camped “before” the city, bought the land on which he pitched his tent and erected an altar. Biblical scholars contend that the plot of land is where the well was constructed. Today, Jacob’s Well is about 250 feet from the archeological ruins of ancient Shechem, which has a long history in Jewish tradition and was the first capital of the northern kingdom of Israel. The well has been venerated by Christian pilgrims since the early fourth century CE. In the Greek Orthodox tradition, a Samaritan woman’s story at Jacob’s Well with Jesus was so powerful that many listeners became followers of Jesus, including her five sisters and two sons. The disciples heard of her experience with Jesus and came to baptize her, giving her the name Photini, meaning, “Enlightened One.” Thus, the name of the church in Nablus. Abuna Ioustinos, a Greek Orthodox priest in Nablus, spearheaded the reconstruction project that saw Jacob’s Well restored and a new church built within the grounds of the Bir Ya’qub monastery, modeled on the designs of the Crusader-era church. Visitors access the well by entering the church and descending the stairs to the crypt. Joseph’s Tomb is located just north of Jacob’s Well in an Ottoman-era building marked by a white dome. We could go inside the gate but no further. The tomb lies inside Area A of the West Bank, which is officially under Palestinian Authority control and the Israel Defence Forces bars Israeli citizens from entering the area without prior authorization. The site is venerated by Jews, Christians and Muslims, and has often been a flashpoint for violence. Jewish pilgrims are usually only allowed to visit the tomb once a month under heavy armed guard. There is one synagogue in downtown Nablus, two on Mount Gerizim and two in Holon. Arriving on Mount Gerizim, our bus drove around Kiryat Luza, a village on the mountain ridge where Samaritans live. Mount Gerizim forms the southern side of the valley in which Shechem is located. On the northern side is Mount Ebal. We stopped at the Samaritan Museum, where the grandson of the high priest and another young woman explained their history before the current high priest – the 137th generation – came to talk to us. In 721 BCE, the Assyrians invaded, destroyed and exiled the population of the Northern Kingdom. Samaritans believe that those who remained are descendants of the original Israelites. However, when the Jews returned from exile in Babylon, they did not accept the Samaritans, so the Samaritans separated and settled near Mount Gerizim, which they believe G-d chose as his only holy place. Today, Samaritans number about 800, half living in Kiryat Luza, half in the Neveh Marque neighbourhood of Holon, a suburb of Tel Aviv. All Samaritans are citizens of the state of Israel, and those in Holon serve in the IDF and speak Hebrew as their main language. Shechem is mentioned in the Book of Genesis after Abraham arrives and offers a sacrifice to G-d at Alon Moreh. Jacob then came, pitched his tent and bought the land here, and Joshua made it a city of refuge. The bones of Joseph were brought here from Egypt for burial. The three holiest places to Samaritans are where Abraham took Isaac to be sacrificed, where Joshua placed 12 stones when the Israelites entered Canaan and where the Israelites re-erected the Tabernacle. According to the Samaritans, these events all took place on Mount Gerizim. Samaritans believe in G-d, Moses and the Torah, and base their traditions on the Torah. They speak ancient Hebrew; however, their mother tongue is Arabic. They practise ritual circumcision. They observe dietary laws. They can marry non-Samaritan women who convert, provided they are virgins when they marry. They observe biblical holidays but not post-biblical holidays, such as Purim or Chanukah. They await the Messiah. Samaritans observe Passover, and I once attended one of their Passover celebrations. They keep alive the tradition of the Passover sacrifice, as described in the Hebrew Bible. Prior to 1967, the Jordanians only allowed them to ascend Mount Gerizim for the Passover celebration. Since the Six Day War in 1967, the Israelis have allowed them free access to the mountain. Our adventure ended in a church in Taybeh for lunch, where we arrived cold and wet. Due to a power outage, caused by the rain, a long grill with burning charcoal was brought out so that we could warm our hands. Taybeh is the last all-Christian community in the West Bank and the home of Taybeh Brewery, one of the few breweries in Palestine. We returned to Jerusalem around 6 p.m.
Hopefully, another trip to Shechem will take place in the spring, after the rains end. Sybil Kaplan is a journalist, lecturer, book reviewer and food writer. 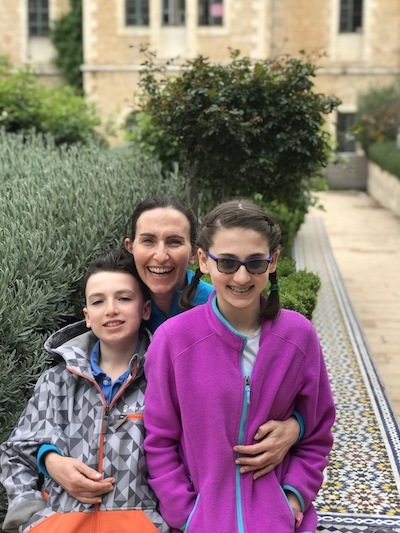 She created and leads the weekly English-language Shuk Walks in Machane Yehuda, she has compiled and edited nine kosher cookbooks, and is the author of Witness to History: Ten Years as a Woman Journalist in Israel. She also writes stories about kosher restaurants on janglo.net for which her husband, Barry Kaplan photographs. Everything is political in Israel; there’s no escaping it. Pick a corner, a street sign, a building, there’s potential for argument. So, you can imagine what it’s like to take a tour of an area as contentious as the West Bank, which, thankfully, was quiet with respect to violence when we visited. Not surprisingly, our guide almost took on the role of spokesperson for the Palestinian Authority. Abraham Hostel, in the heart of Jerusalem, offers a three-day West Bank tour. The tours include Nablus (biblical Schechem), Jenin and the refugee camp that borders it, Jericho, Ramallah and Bethlehem. It was eye-opening for me. 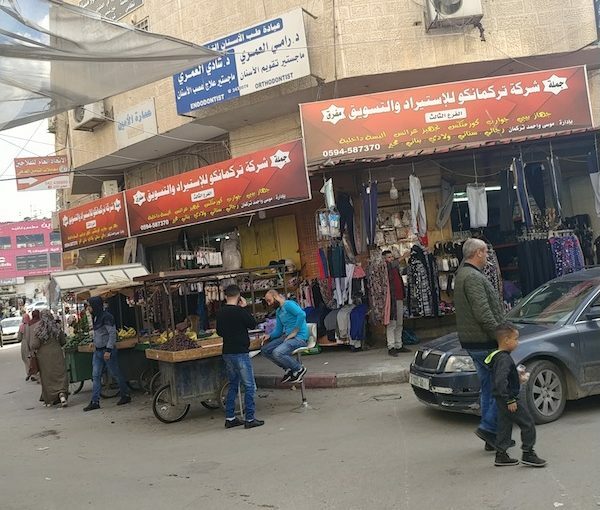 For one, the media frequently portrays Palestinians in the West Bank as living in squalor, often involved in conflicts with the Israel Defence Forces. We saw bustling markets, shopping centres, corporate plazas, sports cars, and plenty of American restaurant franchises, such as KFC and Pizza Hut. Our tour guide was a wannabe biblical scholar and archeologist. “Personally,” he told us, “there could never have been a Jewish Temple.” It’s impossible, apparently, to build on top of solid rock, he explained. He gave a brief history of the term Palestine, correctly stating that Roman invaders, Vespasian and Titus, in the first century, renamed the region from Israel/Judah. But why, particularly, call it Palestine? “Hmm,” he said, taking a moment to think. “Because they liked the name.” Not, as many scholars believe, because the Romans sought to call the area after the Jews’ sworn enemy, Philistines, to rub salt in the wounds. While at Bethlehem’s Church of the Nativity, our guide gave his take on the Gospels, contending that it wasn’t the case that Jesus’s mother, Mary, couldn’t find a room at an inn – rather, the Jews forbade Mary to have a room because she was ritually unclean after childbirth. And that, he said, was the unwritten explanation of the manger/barn scenario. He then proffered his views on Jews. “Since anyone can become a Jew,” he said, “they’re not really tied to the land.” Meaning that anyone who has converted, or was born to converts, has no connection to Israel. And, he added, since the parcel of land called Judah, from which the name “Jew” was derived, was only a fraction of modern Israel, today’s Jews should only have rights to those ancient borders. Quoting the Torah – “if you bless Israel, you are blessed; if you curse Israel, you will be cursed” (Genesis 12) – our guide insisted that the “Israel” referred to in this verse has never meant “the nation of Israel” (which it does), but only refers to the patriarch Jacob, who was later named Israel. The underlying message was that there was no concern about being cursed if you curse Jews. Almost no tour anywhere is complete without the commercial aspect – wandering through the souvenir shops and markets. The hero worship of Yasser Arafat was astounding. Virtually every street corner in Ramallah had a wall-sized poster of him. My trip was in November, so these displays were likely timed for the anniversary of his death. 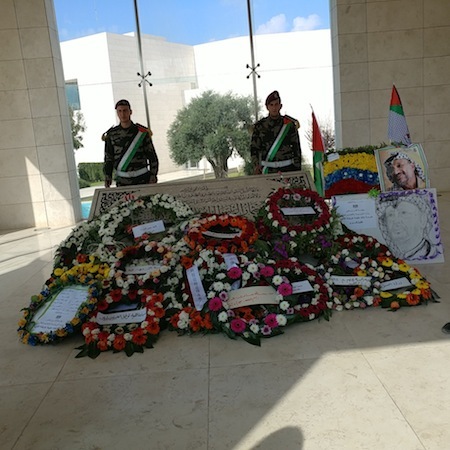 Schoolchildren took a field trip to his tomb in Ramallah for a commemoration and photo opportunities. Our guide made every effort to politicize the tour, down to the free lunch. He said there wasn’t such thing as “Israeli couscous,” only co-opted “Arab-Palestinian couscous.” Scholars and culinary experts differ, saying that Israeli couscous was created in the 1950s in response to food rationing. Alas, more was still to come from our guide. While he had our attention, he showed us illustrations of how Palestine in 1947 comprised modern Israel and the West Bank, while today, the Palestinians only have small, scattered autonomous dots in the Palestinian Authority. As for the Palestinian part in this development, he said, “just a couple of bus bombs” derailed the peace process, but only temporarily. Dec. 6 marked an emotional homecoming for Canadian siblings Linda Hertzman and Kenny Salem. The pair were among some 180 Jews who returned to their birthplace in Kochi, India, to mark the 450th anniversary of the Paradesi Synagogue in the neighbourhood known as Jew Town. Three generations of families gathered from Israel, Australia, Canada and England to celebrate the milestone. They walked the ancient stone pathway of Synagogue Lane, spoke their native tongue of Malayalam and congregated in the synagogue for a festive celebration of the Jewish life that once flourished in this corner of southern India. The festivities were tinged with sadness, however. For many, it would be their final visit to the beautiful Paradesi Synagogue. 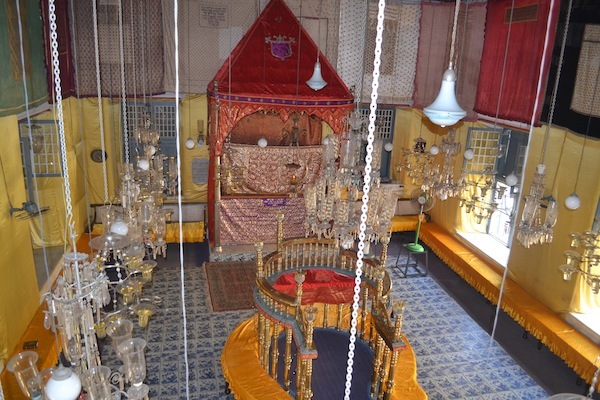 The shul is unique for its colourful oil lamps and a Torah scroll decked in a gold crown that was gifted to the community in 1802 by the maharaj of Cochin. (Kochi is the preferred term for the city formerly called Cochin.) The handpainted Chinese tiles on the synagogue floor have long since emptied of worshippers and the Jewish community of Jew Town now numbers just five – the oldest of them age 96. It’s tourists that stand beneath the oil lamps these days, visiting from dawn to dusk to marvel at the ancient Jewish history and try to comprehend its relevance. Opportunities for congregational prayer have been rare since most of the community left for other parts of the world from 1948 onwards. On the Shabbat following the 450th anniversary, however, tourists were turned away from the Paradesi Synagogue and the sanctuary again echoed with Jewish prayer. The pews were filled with women in colourful dresses, reaching out to touch the ancient Torah scrolls as they were lifted joyfully from the aron hakodesh (holy ark) for morning prayers. Tears streamed down the faces of Jews for whom the synagogue was filled with rich memories. There were children who were seeing their families’ history for the first time and elders who were stepping into the synagogue for the last time. Adults in their 60s recalled their childhood memories of watching their parents pray in the synagogue, of riding their bicycles around the narrow roads of Mattancherry and of the warm, deeply religious and meaningful Jewish life that existed in Jew Town. 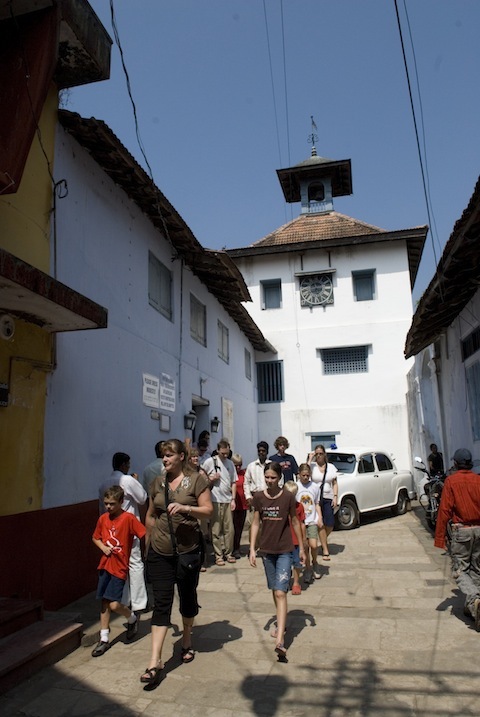 The vibrant hub of Jewish life in Kochi, Jew Town was home to three synagogues, each serving different segments of the community. The “synagogue in the middle,” with a star of David still etched in its concrete, is now a repurposed building, while the southernmost shul is a ramshackle 900-year-old structure, its rafters occupied by nesting pigeons. Indentations on the side of many of the doors of homes and businesses in Jew Town mark the spot where mezuzot used to announce a Jewish home and the large Jewish cemetery a few minutes’ walk from the shul is unlikely to be filled with many more graves as the years roll by. The Jewish life that flourished here has become a lucrative business for antique dealers and souvenir shops selling scarves and trinkets, retailers loitering outside and using all their powers of persuasion to bring shoppers in. Hertzman, who lives in Richmond, B.C., and Salem, from Richmond Hill, Ont., were the first guests to check into what was their family home, recently transformed into a boutique hotel called A.B. Salem House. It was named for their late grandfather, Abraham Barak Salem, an attorney known as the “Jewish Gandhi” for his negotiations with Israel that enabled the Jews of Kochi to make aliyah. There are plans to fill that silence in the near future. 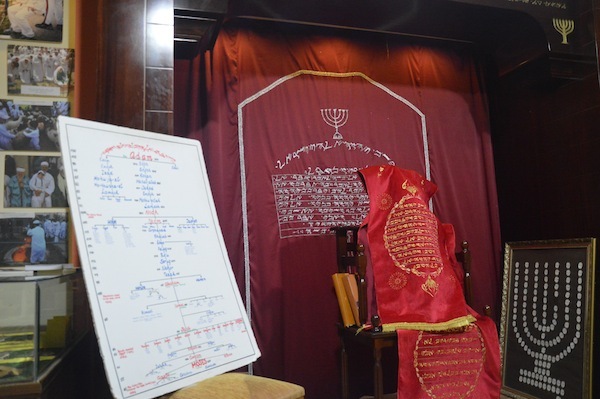 David Hallegua, a spokesperson for the Cochin Synagogue Trust, announced plans to build a museum dedicated to the history of the Kochi Jews in the hall above the synagogue. My friend, Adam Bogoch, pitched it as the “Smoked Meat Story.” Soon after that email, he would write his own review, for narcity.com, titled, “This smoked meat sandwich on Salt Spring Island in B.C. 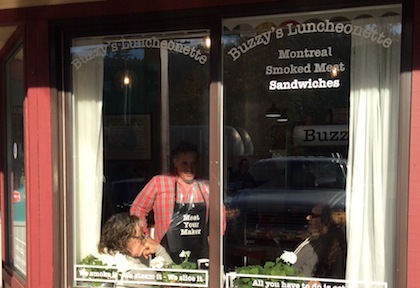 will actually change your life.” His friend and colleague, Howard Busgang, had opened a deli on the island, and not only did I need to meet Busgang, but I needed to get on a ferry and taste The Hungry Jew, one of the signature sandwiches at Buzzy’s Luncheonette. Between the Independent’s annual summer publishing hiatus and the High Holidays, it was November before Adam and I headed to Salt Spring. The travel ran like clockwork and we were pulling up to 122-149 Fulford Ganges Rd. right in time for lunch. 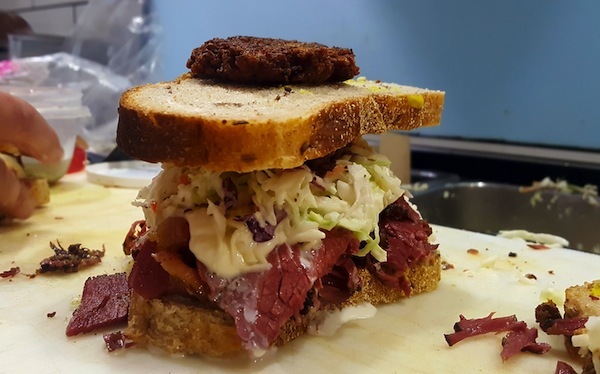 We shared a Hungry Jew – a Montreal smoked meat sandwich with homemade horseradish sauce, coleslaw and, I kid you not, two latkes – and the Rabinowitz, Buzzy’s take on a Reuben. They were both incredibly good, and the only reason I’ve waited this long to share the news is because I wanted to wait until better weather, when people would be more likely to take a day or weekend getaway. Even in winter, Buzzy’s was busy. Having arrived at prime feeding time, it was hard to get Busgang to sit down and, as we talked, he was constantly distracted – in a good way – by customers. “Tell me, I’ll get you another sandwich before you go,” he said as he finally was able to join me at a table outside for the interview. Born and raised in Montreal, stand-up comedy took Busgang first to Toronto and then to Los Angeles, where he met his wife, Melanie Weaver, and where he lived for 28 years, before returning to Canada. The two met on a blind date, he said, brought together by a Jewish comic who knew both of them. Busgang attended Jewish high school, then went to McGill University before heading to Toronto. When he was a stand-up comedian, Busgang did a lot of Jewish material. “I was a very Jewish comic,” he said. In Los Angeles, he moved from stand-up to comedy writing. “I just was a little tired of the road,” he said, and performing caused him some anxiety. 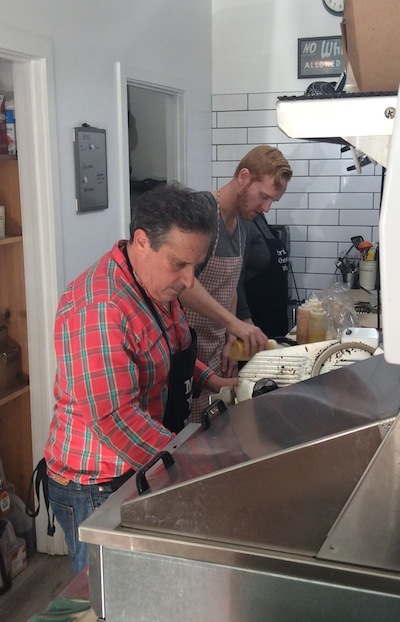 As Busgang was in the middle of saying he might just be a miserable guy, he was called back into the deli to help make a sandwich. Weaver took his place. Her recollection was that a woman from the synagogue set up that first date. “I was the only non-Jew in the whole place,” she said. However, Weaver was raised Jewishly, with her family observing some of the holidays, hosting seders, for example, and she taught at a Jewish camp. Born and raised in New York, she moved to Los Angeles some 30 years ago. She and Busgang have been married for about half that time. A blended family, the couple has three daughters: Alexandra, 30, in Toronto; Emma, 20, in Seattle; and Hannah, 10, who was dividing her attention between helping in the deli and playing with a local dog while her mother was being interviewed. Their first day, there were lineups out the door. But the couple still wasn’t planning on opening a restaurant, until the location became available. “It was basherte,” she said. Since they opened, the menu has seen some additions; in particular, matzah ball soup and tomato soup. “We don’t want to get too big. We just want to stay like someone’s kitchen,” she said. Hannah, who had checked in a couple of times with her mother, joined the interview. In addition to sometimes working the cash, she delivers food to the Saturday market and to the bar a few doors down from the deli. School runs four days a week and, while Hannah enjoys helping out, she was still getting used to living on the island. When she’s not working or at school, she’s probably at soccer or horseback riding; she had just received a paddleboard for her birthday. Though she has a couple of sandwiches named after her, her favourite is the grilled cheese. One of those people was William Kaminski, owner of Phat Deli in Vancouver, who Busgang described as a mentor. “We’re not perfect but we’re figuring it out,” said Busgang. The smoked meat he has got down to a science. Finding rye bread was one of the early challenges. Meanwhile, Busgang – whose credits include having been a head Just for Laughs-gala writer, creating the award-winning sitcom The Tournament and writing for TV series Boy Meets World and Good Advice, among many others – is still writing, still pitching shows. Earlier that afternoon, he was slicing meat while plugged into his phone, listening to a meeting in which a producer was trying to put a deal together. Weaver popped out to say that Busgang often has to go next door to finish his calls because the meat in the charger of his cellphone prevents his phone from charging. “There’s meat everywhere,” she said. A couple of relatively new customers stopped to say hello to Busgang and Weaver. They said they were slowly adding Buzzy’s to their list of usual places to eat. And, said Busgang and Weaver, local Jews have discovered, by going to Buzzy’s and meeting fellow Jews, that there actually is a Jewish community on the island. “We’re blessed to have this,” said Busgang. “It’s gross,” she corrected him. Three generations seemed present in that moment. Buzzy’s is open Monday to Saturday, 11 a.m.-4 p.m. Find them at facebook.com/buzzysluncheonette and then head to bcferries.com and start planning your trip. Travel can be one of the most stressful activities there is. The challenges of packing “light” so you don’t have to pay for a carry-on; getting to flights at ridiculously early times of the day; not to mention dealing with foreign currency, travel insurance, airport lineups, lost luggage, strange food and the fear of contracting some exotic illness while away. When was the last time you took a trip that not only caused minimal anxiety but actually resulted in you coming home more relaxed and truly blissful? And, more than that, with the knowledge of how to maintain that calm once you’re back at home and the stress threatens to build again? Thankfully, we live in an area of the world where such vacations are an easy option within a day’s drive of the Lower Mainland. 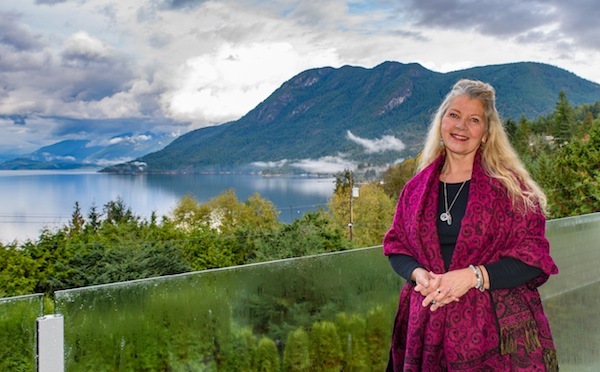 Along the Sunshine Coast, less than two hours’ drive from Langdale, is the Pacific Peace Retreat, where owner Cynthia Miller enables visitors to learn how to shift their mindset by being mindful and aware in the moment. Miller provides transformation and relaxation through hypnotherapy, reiki, yoga, aromatherapy, creative arts and mindset coaching. 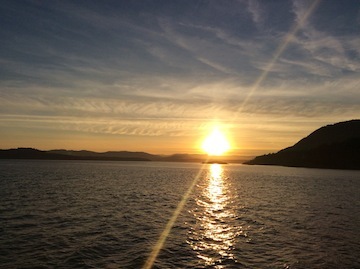 At Hollyhock Leadership Learning Centre on Cortes Island, guests can take one of 90 courses offered on everything from discovering your life’s purpose to mindful self-compassion. They range from several days to several weeks. Although many of the courses are geared toward people who are in a leadership or change-maker role, there are also courses that focus on health and wellness, such as cooking courses that help boost the immune system, pilates, qi gong, and self-expression with sound, as well as excursions such as sea-kayaking and nature walks. Everyone is welcome to attend, said Laurin. 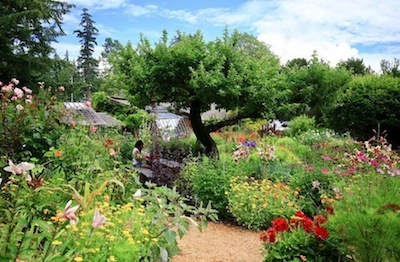 Calling itself a “centre for transformative learning,” the Haven on Gabriola Island helps bring balance to people’s lives through coursework, meditation and yoga. Even simple activities like walking can be very mindful and meditative and a way to relax into the present, said Kevala. 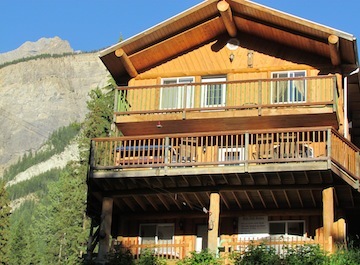 A little further afield, in Golden, visitors can participate in shamanic drumming, Buddhist philosophies and First Nations activities, such as sweat lodges or vision quests, at Quantum Leaps Retreats. Owners Brian Olynek and Annette Boelman have accumulated a wide variety of self-discovery practices. One of the more popular activities is the transformational labyrinth, with several spots to sit and think about specific ideas or create something, according to instructions at each spot. The concepts for the labyrinth are based on those of Buddhist monk and world spiritual leader Thich Nhat Hanh, known for his writings on mindfulness and peace. People are encouraged to walk the labyrinth as often as they want and not worry about time. Reading the history of the Oregon Jewish community can feel like reading B.C. Jewish history in a carnival mirror. Everything is familiar but just a little out of place. Since the sister communities of Vancouver and Portland share both common history and common concerns about the future, there is much we can learn from each other. This is one reason why the Jewish Museum and Archives of British Columbia is excited to be hosting a trip to Portland in late May. The three-day, two-night trip will take participants to historic sites and Jewish restaurants, and introduce them to engaging locals. Travelers will eat at Aviv, Lefty’s Café, Katchka, and Kenny & Zuke’s Deli. They will visit the Oregon Holocaust Memorial, Oregon Jewish Museum, Powell’s Bookstore, Beth Israel Historic Synagogue, Portland Art Museum, Oregon Historical Society Museum, Portland Rose Garden and Portland’s South End Jewish neighbourhood. They will also enjoy a curator-guided tour of the Oregon Jewish Museum. As in British Columbia, it was the gold rush that attracted the first Jews to Oregon. German-born Jacob Goldsmith and Lewis May opened a general store in Portland in 1849 and helped found the Masonic Temple the following year. The community’s growth kept pace with the rapidly growing city and, in 1858, the Reform congregation Beth Israel was established. Jews had a disproportionate presence among the merchant class, with one-third of the 146 merchants on record in 1860 being Jewish. 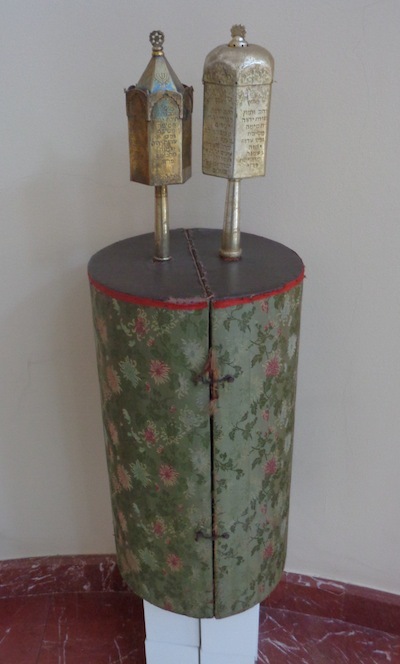 They worked in the industries of clothing, tobacco, furniture and wholesale. Just 328 kilometres north, the Jewish population of Victoria followed a similar trajectory. The earliest arrivals stepped off boats arriving from San Francisco in 1858. They, too, established careers primarily as merchants and, in 1863, opened Congregation Emanu-El, which continues to operate today. 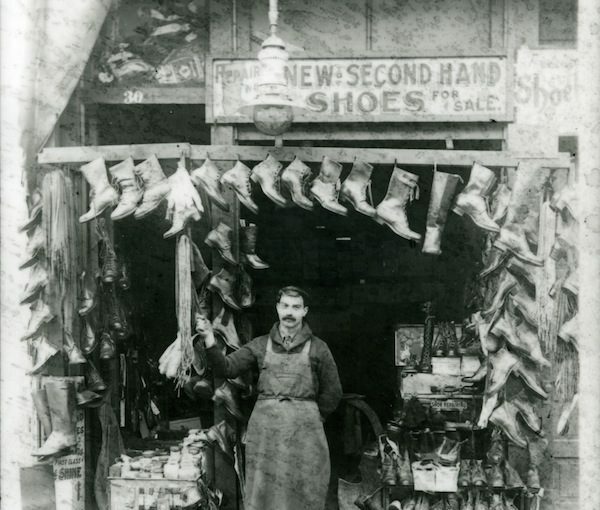 In the 1870s, Jewish merchants began placing their bets on the future of a small encampment on the Fraser River, going by the name of Granville. These bets paid off when Granville became Vancouver in 1886, the terminus of the intercontinental railway. 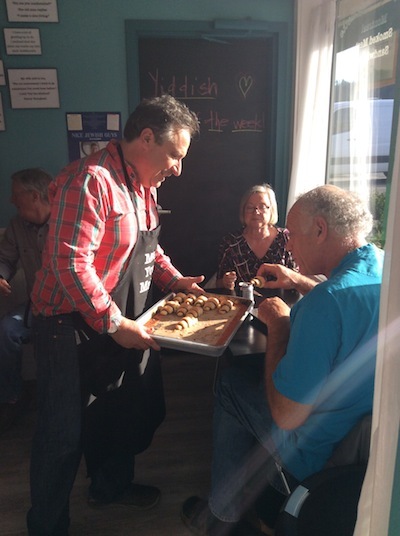 The Jewish populations of Portland and Vancouver have grown dramatically over the decades since, with new arrivals from all corners of the world making their contributions. In both locations, community organizations blossomed early on, providing essential social and cultural services. Today, the Jewish population of Portland, at 50,000, is roughly double that of Metro Vancouver, thanks largely to a wave of young American Jews who were drawn to Portland in the wake of the 2008 market crash. To learn more about the Oregon Jewish community and to experience it firsthand, join the JMABC-led trip, which departs by chartered bus on Monday, May 27, and returns Wednesday, May 29. For more information and registration, visit jewishmuseum.ca/program/portland-jewish-history-tour. The deadline to register is March 31. Home to some 1,400 Jews of Finland’s approximately 1,800-strong Jewish community, it is not a particularly large city, enabling a tourist to take in much of the core in a very short period of time. And it’s a treat for the eyes – modernity meets medieval, where whole city blocks are infused with colonial Swedish or Russian architecture, rich with history and stunning detail. So, take it slowly. Walk along Norra Esplanade from the waterfront for a couple of kilometres and enjoy a wide array of boutique shops, dining options, cafés and the general feel of the city. 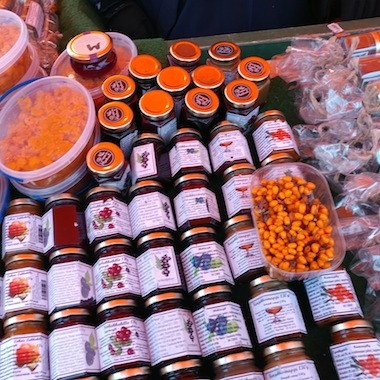 Stroll along Market Square, next to city hall, to get snapshot of local crafts and fare. It’s brimming with booths and kiosks – merchants peddling their wares. Drink fresh squeezed cloudberry or sea buckthorn juice (high in protein, vitamins C and E, and organic acids). Bring home an array of tchotchkes, like handmade knitted slippers, hats and sweaters. Nosh on reindeer jerky. Check out the bookmarks made with reindeer hide, and keychains made with reindeer antlers. For investors and business, Helsinki is the latest start-up hub. The city leapt from 43rd place in 2017 to 28th in 2018 in high-tech start-up successes among European and Scandinavian nations. 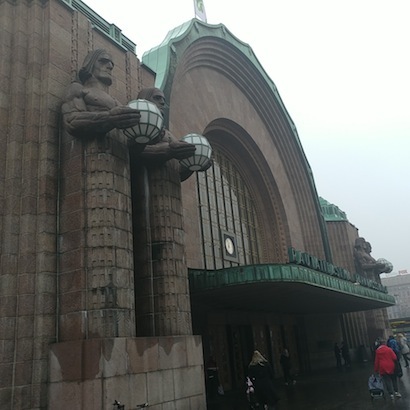 The mega-conference for tech start-ups, Slush, takes place here, gathering 20,000 people. And, one of Europe’s biggest start-up campuses is about to be built, at 70,000 square metres. Among the disruptors attracting global attention are Leadfeeder (analytics), ContractZen (one-click-cloud contracts), Smarp (shareable content hub), Utopia Analytics (artificial-intelligence monitoring of online discussion) and Hoxhunt (corporate security). Finland is home to three Jewish institutions. Helsinki Synagogue, in the heart of the city, was built in 1906, and now serves about 1,200 congregants. Turku Synagogue was built in Turku in 1912, and has a few hundred members between the city and its surrounding areas. Both shuls are Ashkenazi Orthodox. 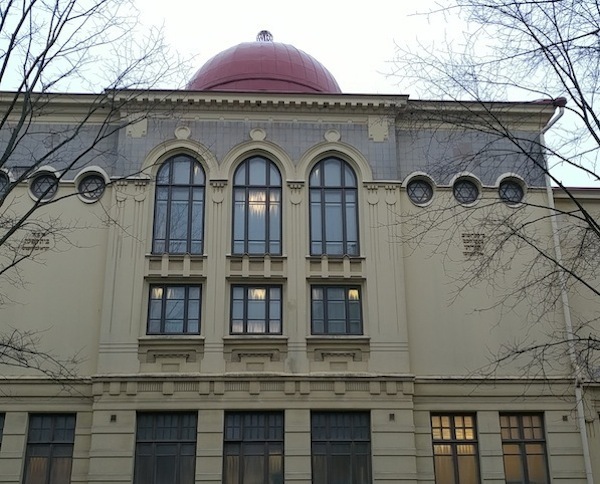 Helsinki Synagogue, with its bronze-coloured Byzantine-style dome, also houses a mikvah, a Talmud Torah and a playground. The congregation uses, not surprisingly, bilingual prayer books, in Hebrew and Finnish. Meanwhile, Chabad Lubavitch of Finland is building a centre next to the city’s Presidential Palace, where they will offer classes, a daycare, a summer day camp and other services. Kosher meals are available through a handful of stores and organizations. Fazer, a local company that makes chocolate and cheeses, doesn’t have a hechsher (kosher certification), but is accepted by the community’s rabbinical authorities as kosher to consume. The first Jew to officially plant roots in the country is recorded as Jacob Weikman, in 1782, despite the government ban on Jewish residence at that time. By the 1830s, there were enough Jewish soldiers to fill a makeshift chapel at the military base Suomenlinna Fortress, reports Hadassah magazine. Many of today’s Finnish Jews are believed to be descendents of Russian infantrymen stationed there about 150 years ago. During the Second World War, it was a complicated relationship for the Jews, many of whom fought with the Finnish army against the Soviets and, later, against the Nazis. Finland openly defied the Nazi order to deport its 2,300 Jews, according to Yad Vashem. There was, however, a small exception: officials in 1942 allowed the Nazis to apprehend eight Jewish refugees. In 2000, a stone monument to memorialize the seven who died was erected by the government, at the park on Tähtitorninmäki (Observatory Hill). But new evidence suggests that at least six soldiers of Finland’s army partook in the Final Solution. In January 2018, it was reported by JTA that an investigation had been launched by the Finnish government after the Finnish Society of Church History apparently found written testimony from one of the soldiers of his complicity. More than a year later, it seems that no results from the probe have been announced. The museum of contemporary art, Kiasma, at just 20 years old, has some 8,000 works in its collection, and about 100 are added annually. Here, you can get a great feel for Finnish architecture from the building itself and, with renovations starting this year, the fence blocking off the area under repair has been covered with poster art. There are many other places to visit, of course. Want to tap the inner child in you? The grown-up playground (the name of which is too difficult to spell, let alone pronounce) is a “sports acrobatics” centre with trampolines, bouncy airtrack, foam pits, sprung floor and more. Arkadia International bookshop is a cultural icon in the city, featuring nightly concerts of every kind of music, as well as a venue simply to enjoy a cuppa joe, play a board game or shmooze with friends. Takeoff Simulation is where you can “fly” a commercial airliner in a flight simulator the size of a real Airbus A320. It includes high-definition visual screens, real sounds and a highly detailed cockpit. I would venture to say not many people know about the ancient Jewish community of Georgia. Yet, Jews have lived there since at least the fourth century CE and, according to various legends from the Second Temple period, even earlier. Although scant written information from prior to the end of the 18th century exists, stories have it that Georgian Jews have a long history. According to one oral tradition, the community goes back to the exile of the Ten Tribes by the Assyrians. Others place its origins to the destruction of the First Temple in 586 BCE. And yet others claim that, since there was a large Jewish community in neighbouring Armenia from the first through the fourth centuries CE, it is probable that Jewish traders likewise established themselves in Georgia. These are just some of the theories. Jumping ahead to the 19th-century rule of the Russian czar, there were a handful of blood libel cases that, while admittedly painful, did not end up in the massacres that occurred in other parts of Europe. Even during the repressive Soviet era, when Jewish institutions were closed, the Tbilisi Jewish community somehow succeeded in having their cemeteries left intact – unlike the local Muslims and Armenians, whose Georgian cemeteries were desecrated. But here is something amazing about this quiet community. It was “carried away” by the achievements of the Israeli Defence Forces in the Six Day War. In 1969, knowing the risks in “making waves” during Soviet rule (Stalin, for example, who hailed from Georgia, had personally signed the death penalties of 3,600 countrymen), 18 Georgian Jewish families were the first people to publicly petition the United Nations Human Rights Committee with their request to move to Israel. 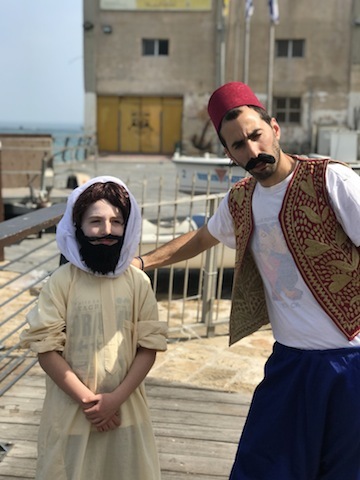 Most of the 80,000 Georgian Jews (figures from 1970s) made aliyah in two recent waves: in the 1970s and again in the 1990s, when the USSR collapsed. Reportedly, 3,000 to 5,000 still live in the European (because of the Caucasus Mountains, some would say Asian) country of Georgia. Significantly, only recently has Tbilisi become the main centre for the Jewish community. In fact, until the first big aliyah, the Georgian Jewish community lived in several other locations, including Kutaisi, Batumi, Oni, Akhaltsikhe, Akhalkalak, Sarami, Kareli and Gori. Historically, Georgia’s Mizrahi and Ashkenazi communities have remained separate. In today’s Tbilisi, Shaarei Tefillah Synagogue stands in the Old Town area. This congregation is more than 100 years old. There is also a Chabad synagogue. A kosher restaurant is located near Shaarei Tefillah. 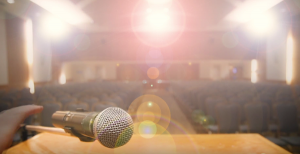 At present, you will hear different opinions about the vitality of the current Jewish community. Some insist that, unlike other former Soviet Union countries, there is vibrant Jewish life in Georgia, with little assimilation. 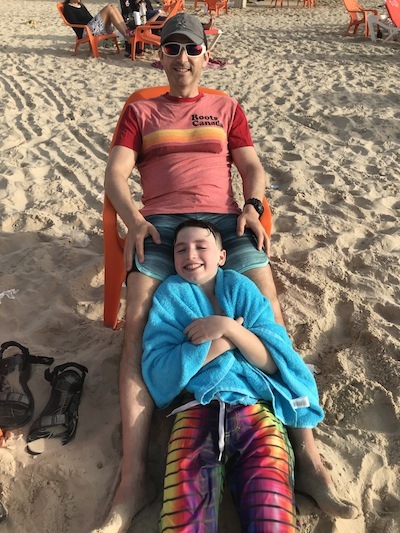 Others contend that, with the dwindling population, life is bleak for some of the older members of the Jewish community and tenuous for the younger generation, who are at risk of losing their Jewish identity. Georgian Jews have been proud of their heritage. For instance, one wealthy Armenian Jew living in Tbilisi, Ghazar Sarkisian, built his wife a stunning house with stained glass windows displaying the Star of David. And, speaking of David, everywhere you go in Georgia, you will see paintings and statues of two Georgian leaders who had Old Testament names: King David the Builder (1089-1125) and his great-granddaughter Queen Tamar (1184-1213). These two rulers are recognized for their ability to unify the nation. But, in addition, there are stories that their Bagrationi ancestors descended from the biblical King David. Hence, some believe these rulers had Jewish roots. Whatever their true origin, in today’s Georgia, these names remain popular with the general population. For the adventurous, there is cycling, and mountain and hill climbing. However, travelers should note that, because of severe weather conditions, a number of roads leading to the Caucasus Mountains close for months at a time. Visit the cave city of Uplistsikhe. Although there is no evidence that she was ever there, you’ll find a large space called Queen Tamar’s Hall. Either way, the caves, which first housed pagan communities, make for an interesting stop. Even if you don’t drink wine, it is worth going to a traditional winery to see the unique way Georgians have historically made wine. Besides wine, bread is another big part of Georgian life. Check out a bakery that makes shoti puri, a flatbread resembling a canoe in shape. It is a simple, handmade mixture of flour, water, salt and yeast. The bread is baked in a strange oven called a tone (pronounced “tone-ay”). This oven is a circular, brick-lined oven dug into the floor with a gas or wood fire at the bottom. The bread is placed onto the side of the tone. For the bakers, it is hot and strenuous work, especially when trying to reach the spaces at the bottom of the oven. The bread is ready in a matter of minutes. It is then scrapped off the sides with a paddle. For those who like to take in the local scene by walking, Tbilisi is the place to be. Walk slowly through the Old Town to see how grand this city once was. From the crumbling carved wooden porches to the faded hand-painted vestibules, you can still feel the city’s architectural beauty. There are a number of rehabilitation projects underway, but much needs to be done. Another way to see a bit of times past is to go to Tbilisi’s Dry Bridge Market. This flea market specializes in nostalgia, selling silverware, china and glassware. You can get a shaggy shepherd’s hat, accordions, sewing machines, cameras, record albums, hand guns and knives (!) and, of course, Soviet memorabilia. It also has a large section of new, locally made paintings and shawls. Though the exhibits are not posted in English, the State Museum of Georgian Folk Songs and Instruments has a small, but nice, collection of regional musical instruments (including a shofar). While I was visiting, the curator played a European street organ, an upright organ and operated some of the early musical recording devices.